← Grant Proposal Submitted, Now What? It’s time for Fathers’ Day. Time to lift up fathers and fatherhood. And time to ask ourselves how we honor fathers in our daily lives, the work of our nonprofits, and through our business and public policies. News headlines spotlight the phenomenon “absent fathers,” seeking to assign blame for the many challenges we face as a country and as communities. What’s often missing is a discussion of public policies and investments that can impact, support or disempower fathers, as well the personal decisions we make that can be hard to overcome. We shy away from sensitive issues of how court ordered child support and divorce decisions can keep fathers from fully engaging with their children, and with fulfilling their financial and emotional obligations. Many of us have perceptions of fathers that don’t match with reality. A father is a father even if he is not in the children’s home and is not the breadwinner. A father is a father regardless of whether he is gay or straight, employed, incarcerated, intelligent, handsome, rich, or poor. Here’s our suggestion: Let’s focus restoring the dignity of what it means to be a man and a father. For example, there are deep stigmas associated with incarceration and too many men – especially African American and Hispanic men – are incarcerated. The consequences and stigma of incarceration often continue for a lifetime and impact men’s immediate and long term ability to father. You can’t vote, you can’t get a job, you don’t earn enough, your birth family may not welcome back, your children may not know you. You may feel you don’t have anything to “bring to the table.” Part of being a father is being a man. Supporting fatherhood includes, for example, supporting men’s ability to recover from incarceration, build new lives and engage their children. As nonprofit leaders and concerned community members, we can encourage schools, nonprofits and faith organizations to look at their programs and explore if and how they are serving fathers – especially young fathers – and encouraging connections between fathers and their children. We can encourage the organizations and institutions we are personally involved in to become part of the solution. In that process we need to remember that fatherhood can be expressed in so many different ways. We can’t get stuck on the image of a traditional father: that can hold us back from helping real-life dads be part of their children’s lives. As donors we can look for organizations – especially grassroots ones – within our communities that are active in supporting men in their roles as fathers. We need to support faith based initiatives as well as those programs that support fathers who may not have or want a faith affiliation. 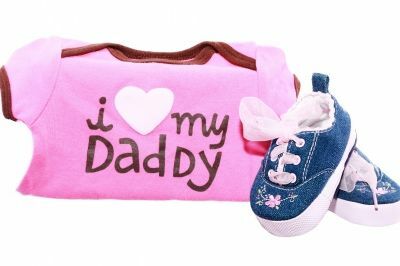 For Fathers’ Day honor your favorite father by making a gift in his honor to an organization that supports fatherhood. This entry was posted in FUNdraising Good Times and tagged fatherhood Fathers’ Day, fundraising, fundraising good times, Saad&Shaw. Bookmark the permalink.